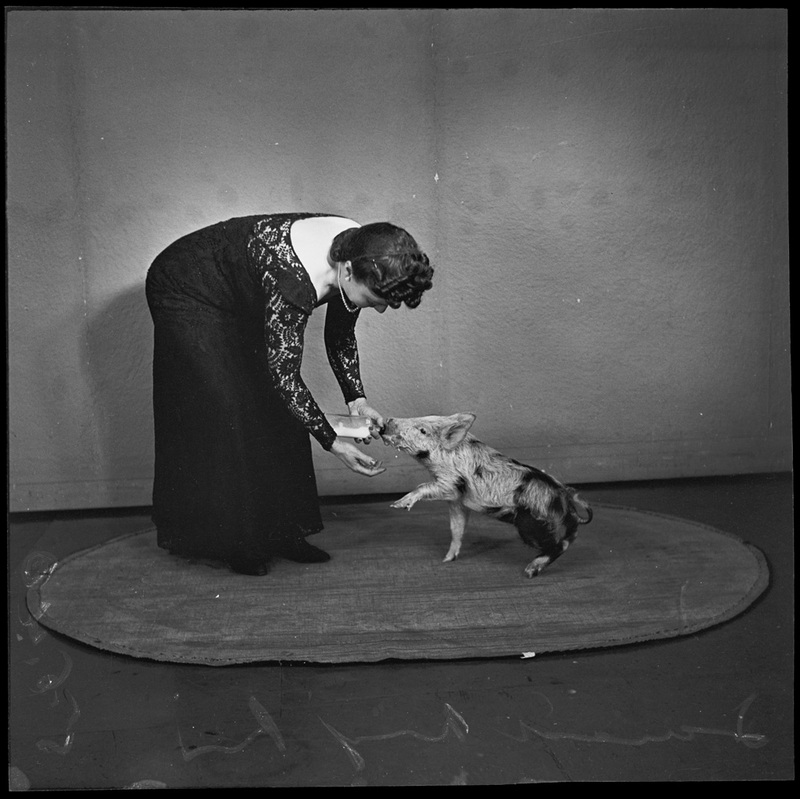 With the Chinese Year of the Pig commencing on February 5, it is a good time to share a series of 29 photographs from the Library’s collection depicting the lifestyle of talented performing pig, Freckles. The photographs were taken for Pix Magazine in 1940, to celebrate the life of Freckles. 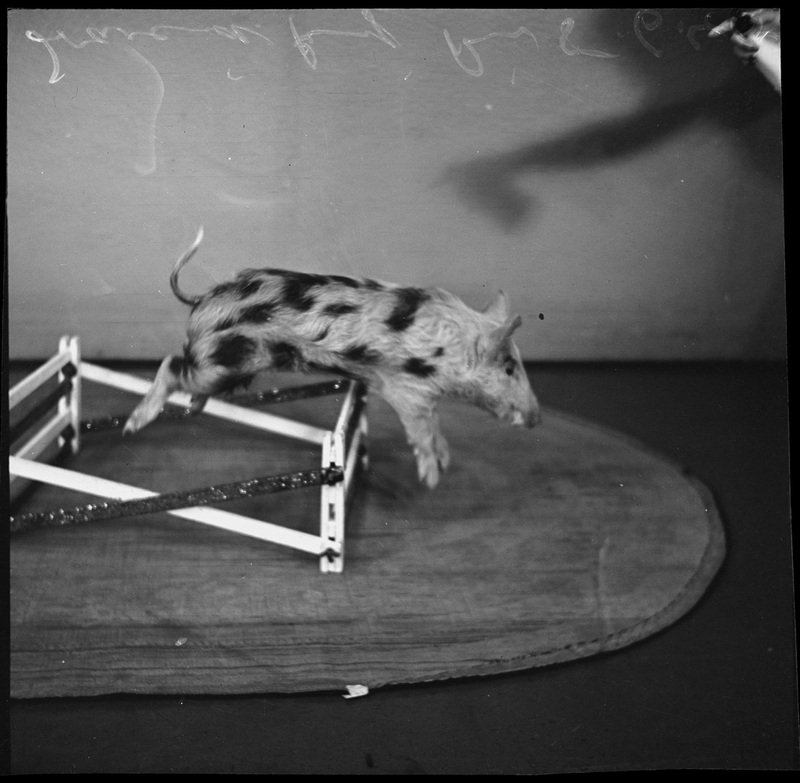 A small spotted pig, Freckles, performed in a number of variety shows alongside his trainer, Marjorie Van Camp. Photographs of Freckles show him jumping hurdles, running through a tiny door, shooting a gun through a target, devouring a plate of food, poring over a gift basket of withered produce, and hopping into a taxi. 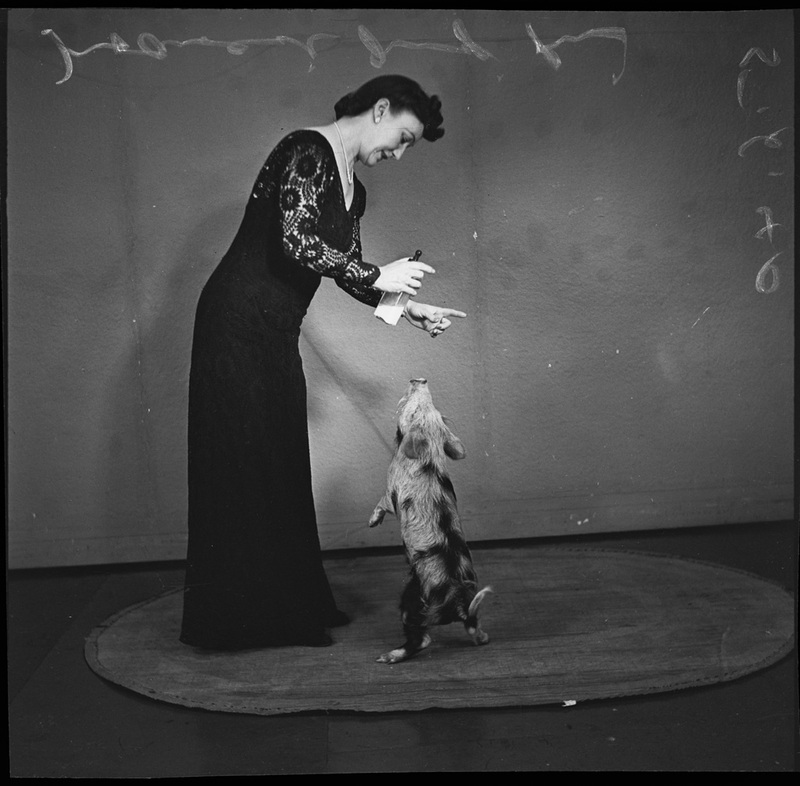 Due to quarantine difficulties Miss Van Camp, a vaudeville artist, didn’t bring a pig from her home country America. 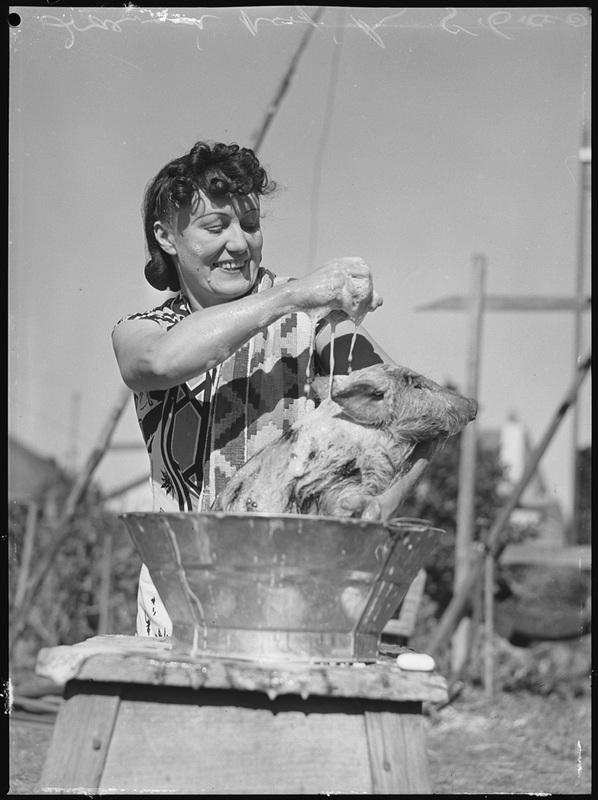 She trained a local suckling pig in two months, before commencing a touring circuit with the Tivoli theatre. The Tivoli’s ‘Lucky Stars Revue’, in which Freckles performed, featured comedian Bobby Morris, Canadian skating sensation ‘The Whirling Romaros’ and Clifford Guest, a ventriloquist from London. 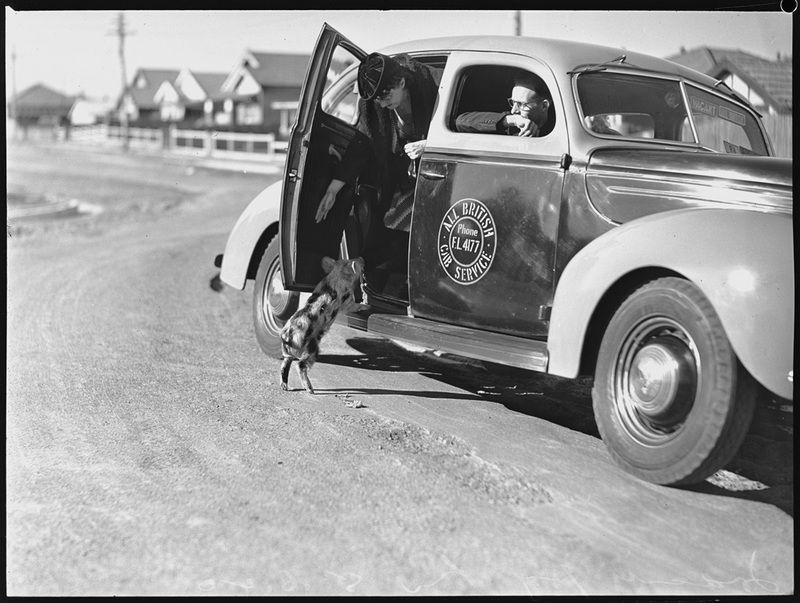 The trick to training Freckles was milk – before and after performing any trick he demanded a swig. 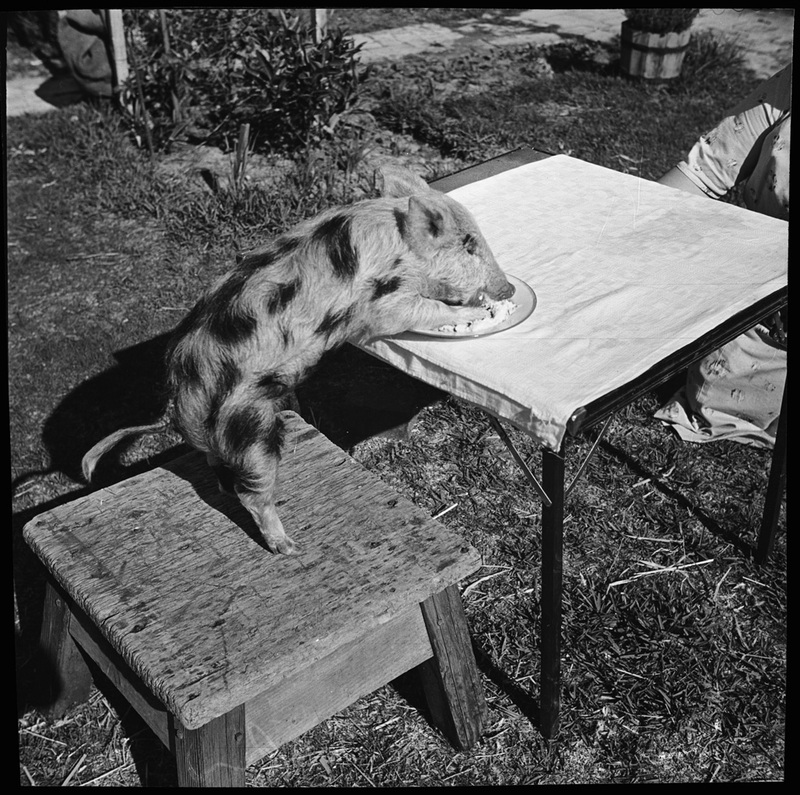 Described in show advertising as a ‘pig with personality’, Freckles was treated like a star by his owner, Miss Van Camp. Freckles received regular baths and manicures, and walked alongside Van Camp wherever she went. He stayed with her in the theatre during the week, spending time in the suburbs over the weekend, enjoying the fresh air and sunshine. In the Chinese Zodiac, those born in the Year of the Pig are known as possessing optimism, enthusiasm and hard work - qualities demonstrated in spades by the talented and much-admired Freckles. 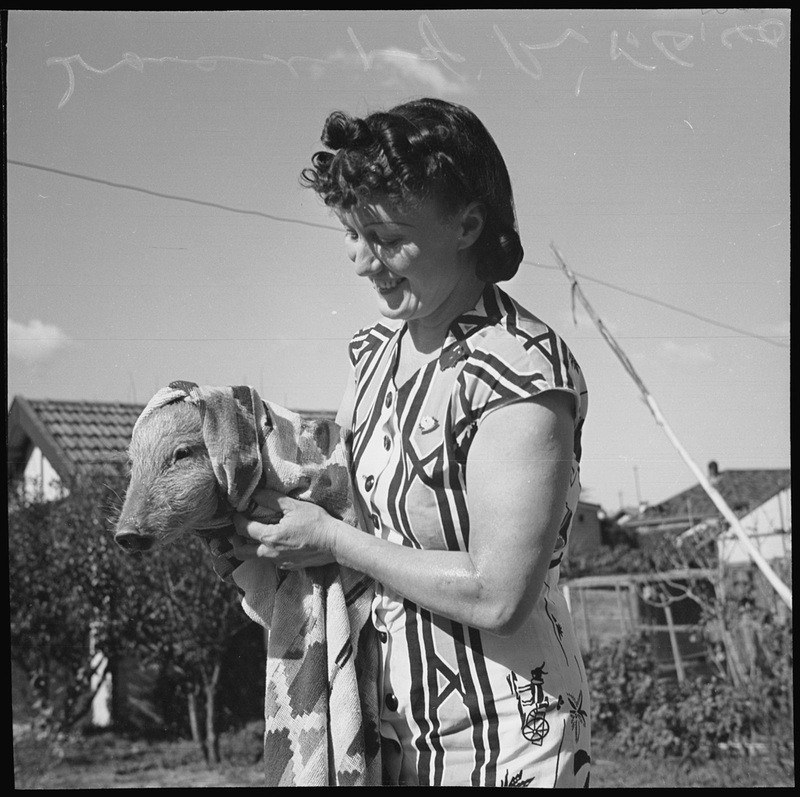 A Flickr album with a variety of pig photographs from the Library's collection can be found here.